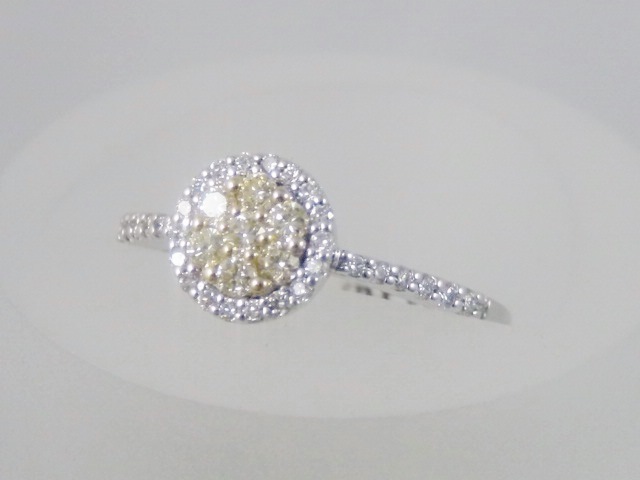 Ladies’ 14k white gold diamond ring. 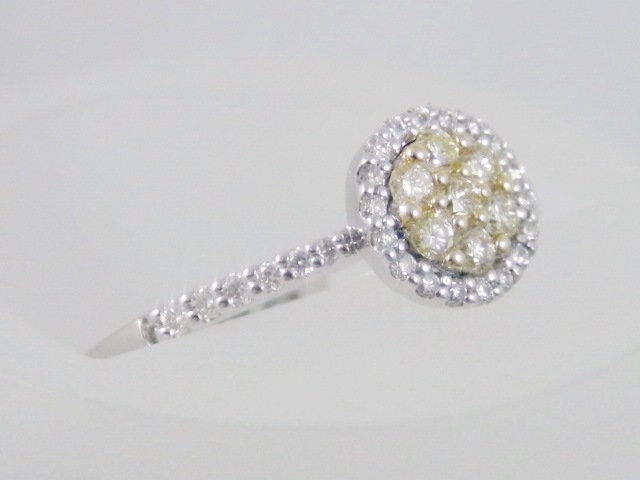 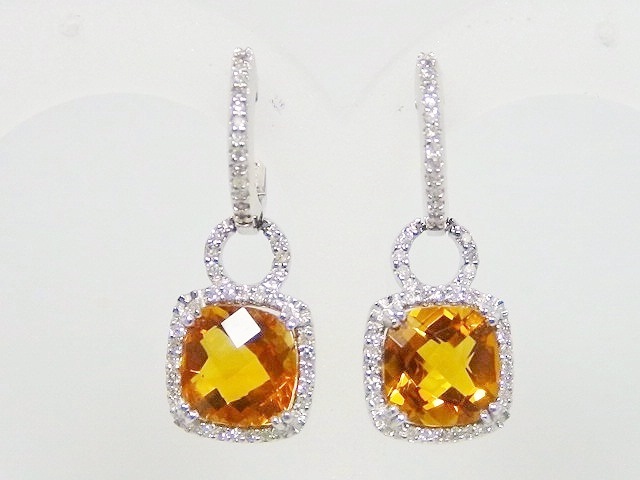 There is a cluster of yellow diamonds in the center with an approximate .20 ct. 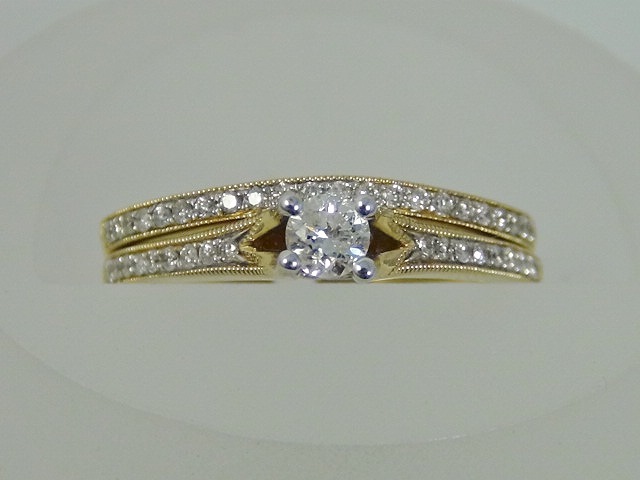 The weight of the white diamonds is approximately .45 ct.
Category: Wedding Rings. 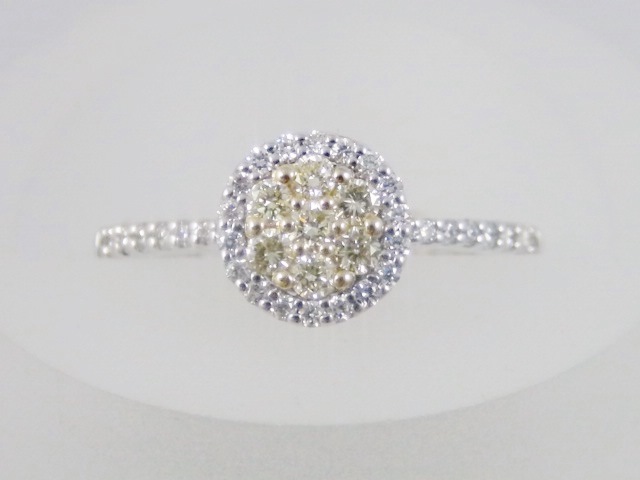 Tags: cluster, diamond, halo, white, yellow.